My hat is from Vinnies in Fremantle. Where are your favourite places to shop in Perth? I love that Chic Chic store on Barrack Street. I love Sacha’s Winter look. 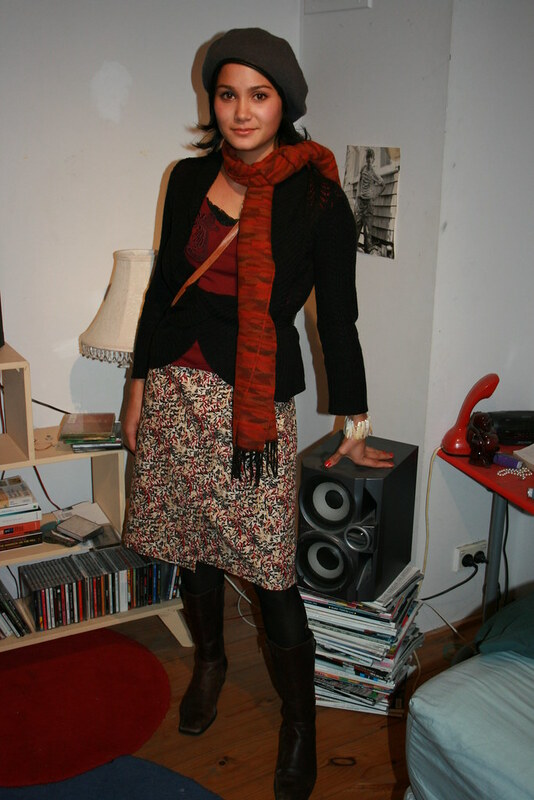 I envy people like Sacha who find great outfits in op shops. I always feel so overwhelmed by the masses of clothing and end up looking briefly at one rack of clothes then leaving. Ooh cute outfit! I wish I had (well, made) time to trawl through op-shops still.